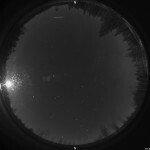 Posted by Jari Juutilainen & filed under Meteors and Fireballs, Observations. Posted by Jari Juutilainen & filed under Observations. 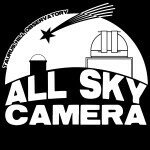 All Sky Camera is back online (again). Posted by Jari Juutilainen & filed under Uncategorized. 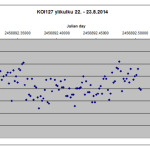 Posted by Jari Juutilainen & filed under Extrasolar Planets, Observations. 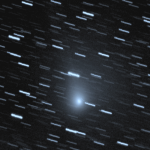 Posted by Jari Juutilainen & filed under Comets, Observations. 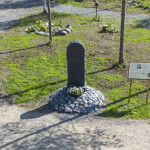 Posted by Jari Juutilainen & filed under Events. Posted by Jari Juutilainen & filed under Misc, Observations. Posted by Jari Juutilainen & filed under Asteroids. 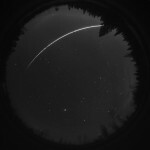 THO research team member Jari Juutilainen continued the start of the observing season 25.8.2013 by observing the asteroid 3 Juno. At the moment of the photograph the Juno was about 8,6 magnitudes bright and quite easily observed by the SLR-camera optics.